Four hundred and fifty years ago, a Leonardo da Vinci mural of clashing soldiers disappeared from the hall where Florence’s political leaders used to meet. Art sleuth Maurizio Seracini has strong clues that the "The Battle of Anghiari" lies hidden behind a brick wall, built during a renovation of the hall. In order to prove it, however, he needs to see through the wall. Emory physicist Ray DuVarney came up with an idea, based on the fact that paints get colors from different chemical elements. 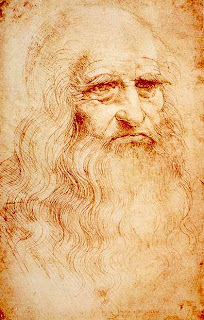 White paint from da Vinci’s time contained lead, for instance, and red paint contained mercury. DuVarney reasoned that shooting a beam of neutrons through the brick wall should induce the paints’ atoms to send back gamma rays, each emitting an energy distinctive to a particular color. These “pixels” of color could then be plotted onto a graph to indicate whether they formed an image akin to the missing mural. "This is a passion project," DuVarney says. "It's more than a physics problem. It's about finding one of the lost wonders of the world."